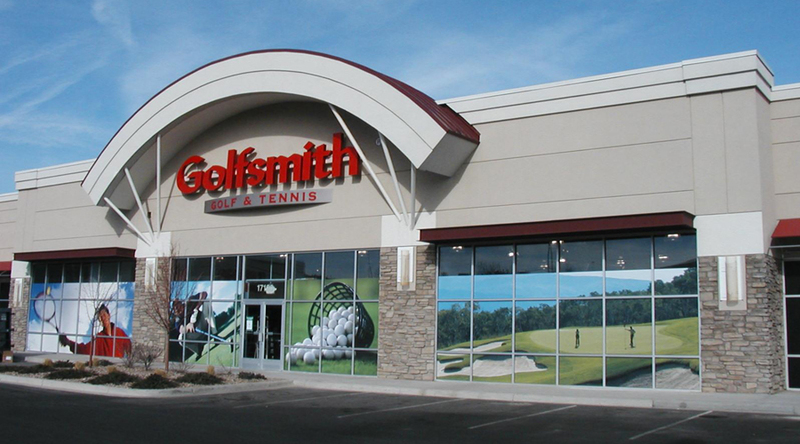 After filing for Chapter 11 bankruptcy protection September 14, Golfsmith International Holdings LP will attempt to reorganize, including the sale of the Canadian-based business of Golf Town and a debt recapitalization of the U.S.-based retail Golfsmith business. A definitive agreement has been reached to sell Golf Town to Toronto fund manager CI Financial Corp. and Fairfax Financial Holdings Ltd., controlled by Canadian financier Prem Watsa. At the same time, a support agreement has been reached with Fairfax and CI with respect to a recapitalization and restructuring of the U.S.-based business of Golfsmith. Fairfax and CI collectively, through funds or other entities managed or controlled by them, hold more than 40 percent of the company’s second lien secured notes due 2018. The U.S. business, operating under the Golfsmith brand, will try to restructure its operations by closing weak stores and refinancing debt to emerge on a standalone basis. The company owes $100 million on an asset-backed loan and C$125 million ($95 million) in second-lien notes that come due in 2018. The company also said it would be exploring a sale of its U.S. business to see if it offers a better return to creditors. As part of the reorganization efforts, the company said 20 Golfsmith stores have been identified for immediate closing. It is also expected to close a small number of stores in Canada and renegotiate some leases. Based in Austin, TX, the company has 109 stores in the U.S. operating under the Golfsmith banner and 55 stores in Canada operating under the Golf Town name. The filing in Delaware court listed debt and assets of as much as $500 million each in Delaware court. In the filing, the company blamed an aggressive plan that began in 2011 to open bigger stores that cost more to operate just as golf began to lose popularity. “Unfortunately, the rippling effect of these market factors coincided with GSI’s company-wide expansion efforts, leaving Golfsmith with an oversized store footprint,” Brian E. Cejka, the chief restructuring officer, said in court papers filed in Wilmington. Reports had surfaced over the last month that Golfsmith was struggling with a heavy debt load traced to its 2012 merger with Golf Town. The company continues to be owned by OMERS Private Equity Inc., part of the Ontario municipal employees’ pension fund, which backed the 2012 merger. The transactions and bankruptcy filing come after extensive discussions with lenders and other key stakeholders to address liquidity challenges and a “comprehensive sale process” undertaken by the company with the assistance of Jefferies LLC. In its statement, Golfsmith International said the Golf Town and Golfsmith transactions “will benefit a broad range of stakeholders, provide the Golf Town and Golfsmith businesses with a sustainable capital structure and retail footprint moving forward and provide stability for customers, suppliers, employees and other key stakeholders. Under the sales transaction, Fairfax and CI will acquire substantially all of the assets of the Golf Town business, including the acquisition of certain leases, inventory and working capital assets. Any Golf Town retail locations not acquired will be closed. The proceeds from the sale will be used to repay a substantial portion of the company’s first lien credit facility to reduce Golfsmith’s leverage and interest costs while the company works on executing the Golfsmith recapitalization transaction. The Golfsmith recapitalization is designed to deleverage the Golfsmith business, through the cancellation of its existing secured notes and the issuance of new second lien notes, and 100 percent of the equity in restructured Golfsmith to holders of the company’s existing secured notes. The new second lien notes will have a principal amount of approximately $35 million, an extended maturity date, and an option for the restructured Golfsmith entity to pay interest in kind rather than in cash. The remaining portion of the credit facility will also be refinanced following its pay-down from the proceeds of the Golf Town transaction. Finally, an operational restructuring of the Golfsmith business will result in the closure of certain underperforming stores and the sale of excess inventory. In an effort to “ensure the stability of the business and to protect value for the benefit of all stakeholders,” the transactions are being administered through court-supervised restructuring proceedings. On Wednesday, Golf Town commenced creditor protection proceedings under the Companies’ Creditors Arrangement Act (CCAA) in the Ontario Superior Court of Justice, while Golfsmith filed for Chapter 11 protection in the U.S. Bankruptcy Court for the District of Delaware. Pursuant to the Support Agreement, Fairfax, CI and other certain other secured noteholders have agreed to support the Golf Town transaction and work with the company to advance, support and implement the Golfsmith transaction. The company plans to work with other secured noteholders to obtain their support for both transactions. Antares Capital LP has agreed to provide a $135 million debtor-in-possession (DIP) financing facility. The funding is subject to approval by the CCAA Court and the Bankruptcy Court. In connection with the DIP Facility, the company will undertake a dual track sale process in the Chapter 11 proceedings “to explore the potential for an alternative sale transaction for the Golfsmith business that maximizes value for the benefit of stakeholders.” At the same time, Golfsmith will use the bankruptcy process to advance the Golfsmith recapitalization efforts to refinance or repay the credit facility obligations in connection with the restructuring. Completion of the Golf Town Transaction is subject to approval by the CCAA Court and any regulatory approvals. The purchase agreement provides for an effective closing date of October 31, 2016. Completion of the Golfsmith Transaction is subject to the finalization of definitive documentation, bankruptcy court approvals, the refinancing of the credit facility on terms acceptable to the company and the supporting noteholders and the receipt of regulatory approvals. Golfsmith hired Jeffries LLC and Alvarez & Marsal earlier this year to solicit potential buyers and review various restructuring strategies. More recently it has been advised by Weil Gotshal & Manges LLP And Goodmans LLP.